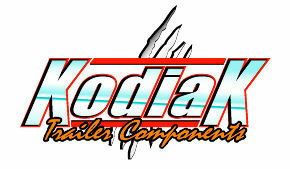 Kodiak has pioneered a new coating to offer in their trailer hydraulic disc brake line up. This KodaGuard technology is patented and was designed to offer the highest level of corrosion protection behind stainless steel. Koda Guard coating offers twice the protection of the Dacromet coating without breaking the bank. Some tested samples of Koda Guard coating exceed the 2,000 hour mark during the salt spray test. 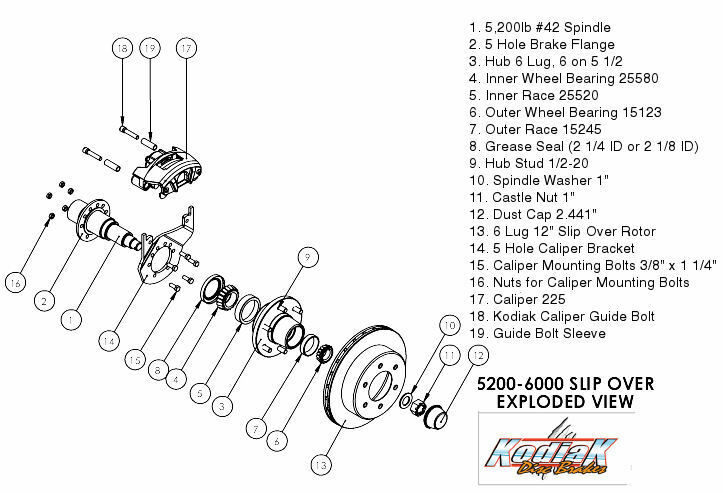 This particular kit is Kodiaks 5,200lb Capacity 6 Lug Koda Guard Slip On 12 inch Hydraulic Disc Brake Kit. 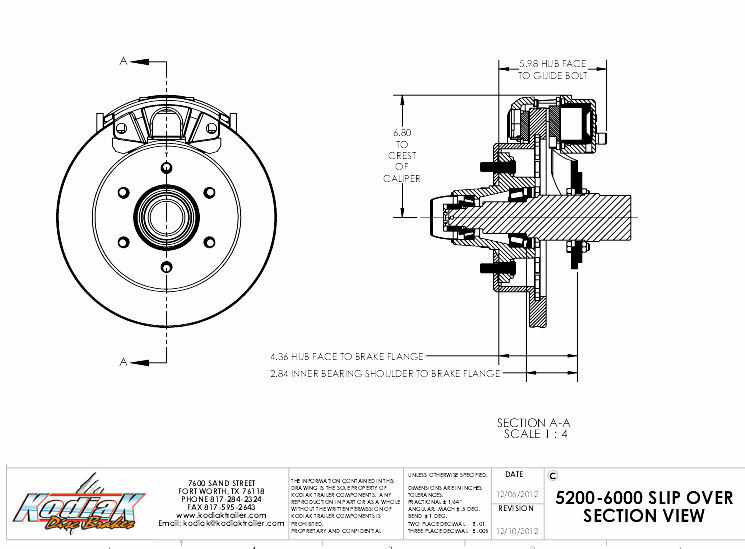 This kit is designed to mount over your existing 6 Lug standard idler trailer hubs. Slip Over style rotors are secured once the Wheel is mounted and the lug nuts are fully tightened. The 6 Lug Pattern on this rotor is a 6 on 5 1/2 used for standard 1/2 inch trailer studs. 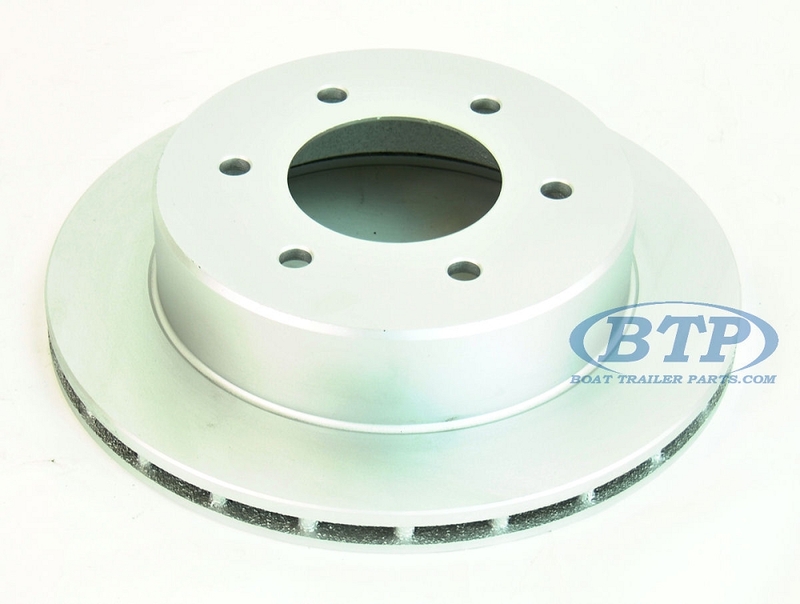 This Disc Brake Kit would mount to your trailer axles standard 5 Hole Brake Flange. 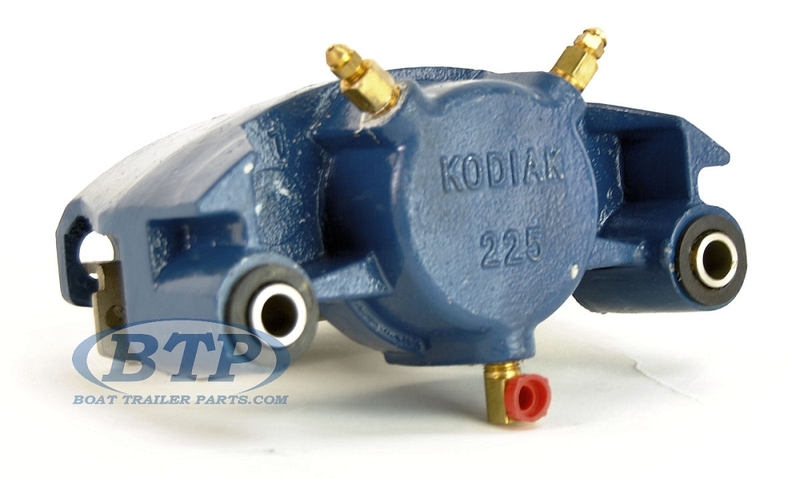 Kodiak Brake Calipers feature top of the line components, with Stainless Steel Pistons, Stainless Steel Bolt Bushings, and Brass fittings for ultimate corrosion protection and longevity. If you are needing Hubs as well to fully replace your disc brake system or to start fresh, we offer this kit with 6 Lug Galvanized Hubs and Bearings as well. 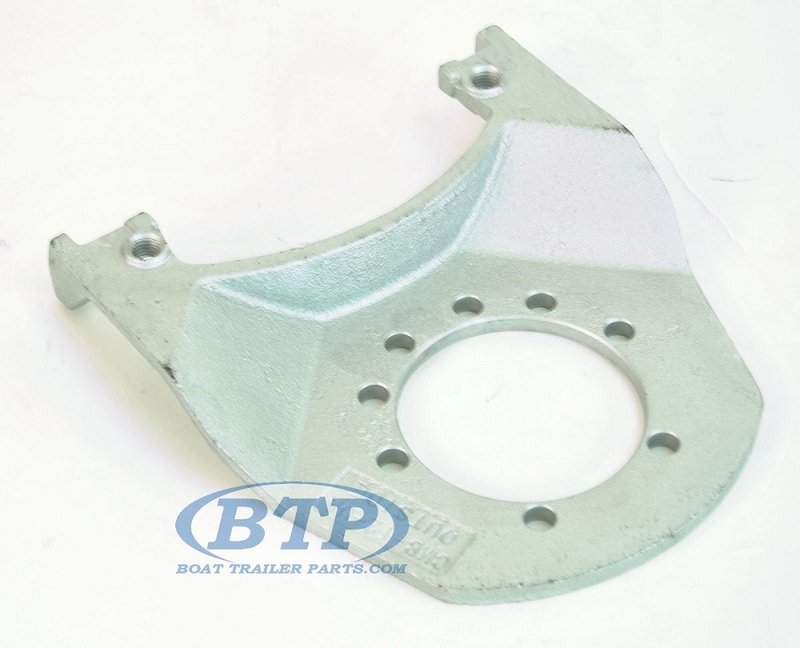 You may additionally need mounting bolts to bolt your caliper bracket to your trailers brake flange. We have these bolts in zinc and stainless available as add ons to this brake kit. 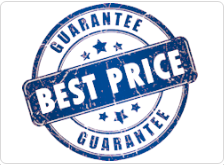 simply click the check box and they will be added to your cart. Other essential items to complete your installation may be 2.441 inch Trailer Dust Cap Accu-lube, EZ Lube Fits Standard 6 Lug Trailer Hubs. This 2.441 size is the correct size for the standard 6 Lug hub. In addition, these hubs use the 1/2-20 trailer lug studs, which will take all the Trailer Lug Nuts that we offer. As you are installing a new disc brake kit, you will need Heavy Duty Hydraulic Brake Fluid DOT 3 for Trailer Disc Brakes when bleeding your brakes.